Courses are to take place at Bromsgrove Cricket Club and Kenilworth Cricket Club, with a girls only 2 day camp. If you would like further details about the courses we offer please do not hesitate to contact kellyevenson@tsrcricketcoaching.com or click onto the link to download an application form. 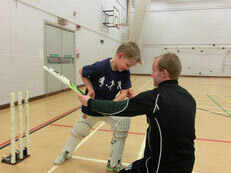 The Junior Boars summer coaching programme is suitable for all ages and abilities. Cricketers will have the opportunity to play either softball or hardball cricket depending on their experience. We will ensure the sessions are suitable and challenging for all. The sessions will focus on fielding, batting and bowling and provide intra club matches within club leagues. 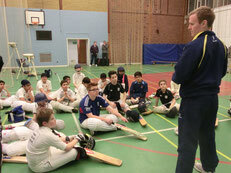 If you have a passion for getting involved in cricket please contact Kellyevenson@tsrcricketcoaching.com. TSR are linking with local First Schools to establish a Girls Junior District programme for children between the ages of 6 - 10 years. 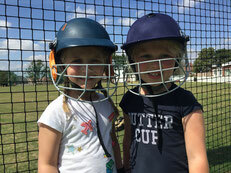 Cricket sessions have taken place in local schools this term and talented girls have been provided with scholarships to attend the sessions which will link to the Girls Junior section at Bromsgrove Cricket Club. If you have a passion for getting involved in girls cricket please contact Kellyevenson@tsrcricketcoaching.com. 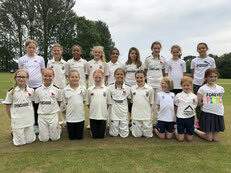 The Bromsgrove CC Girls Section continues to be run by TSR for its fourth season. Training sessions are suitable for players at all levels of the ‘player pathway’ from beginners to County age group. Sessions provide girls with a friendly and fun environment to develop their enthusiasm for the game. Each week we will focus on developing fielding, batting and bowling skills and provide small sided games for the girls to develop their game awareness. All equipment will be provided for the sessions, please can girls wear sporting attire. Come and get involved! 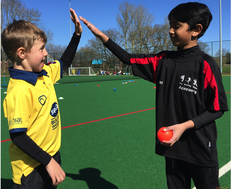 One to One coaching sessions provide a fantastic way for all cricketers to focus on certain aspects of their game. The winter indoor sessions running between January and February 2019 are fully booked, but there are places for players to access sessions outdoors beginning March in the lead up to the season. TSR in conjunction with Bromsgrove Cricket Club will be delivering indoor winter nets for all club members to develop their skills over the winter Months.